This guy traveled around the world playing the Bagpipes! Ross Jennings isn't your average 27-year-old man, Ross decided he wanted to do something a little different with his life. 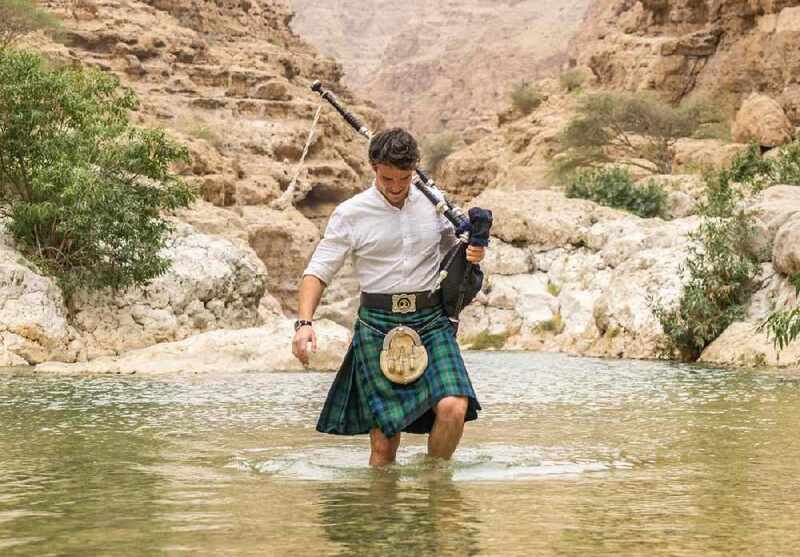 So off he went, with his bagpipes in tow to play them in every single country around the world - stopping off in Oman as part of his trip. 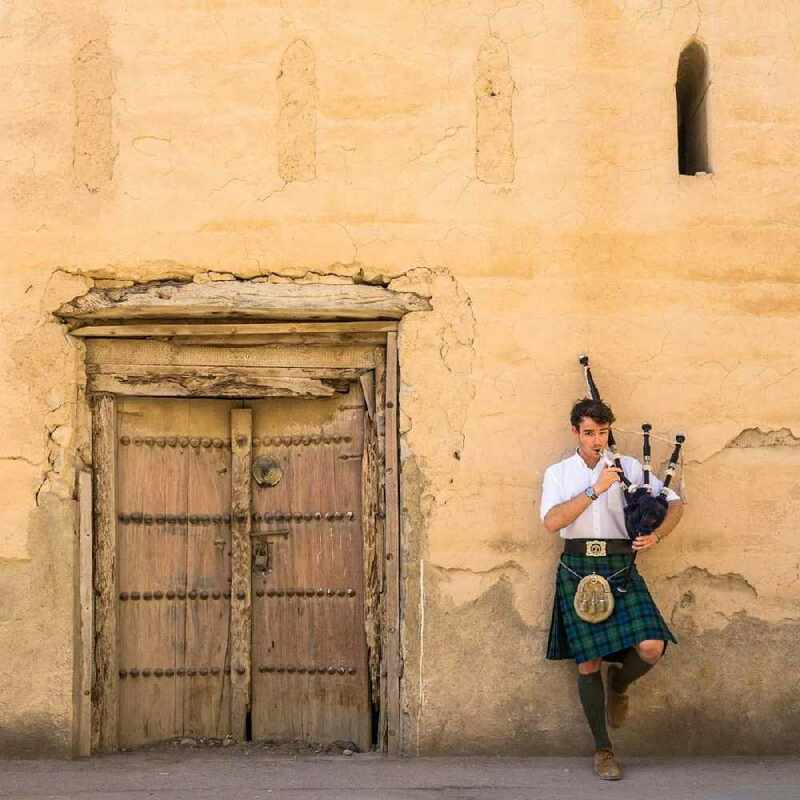 Ross aims to visit 136 countries and play the bagpipes, so far he's ticked 60 off the list, including our hometown! Speaking to the Times of Oman, Jennings spoke about his trip saying: "I arrived in Oman on January 22 and was lucky to spend two weeks exploring, the problem with coming to Oman is that there is so much to do! 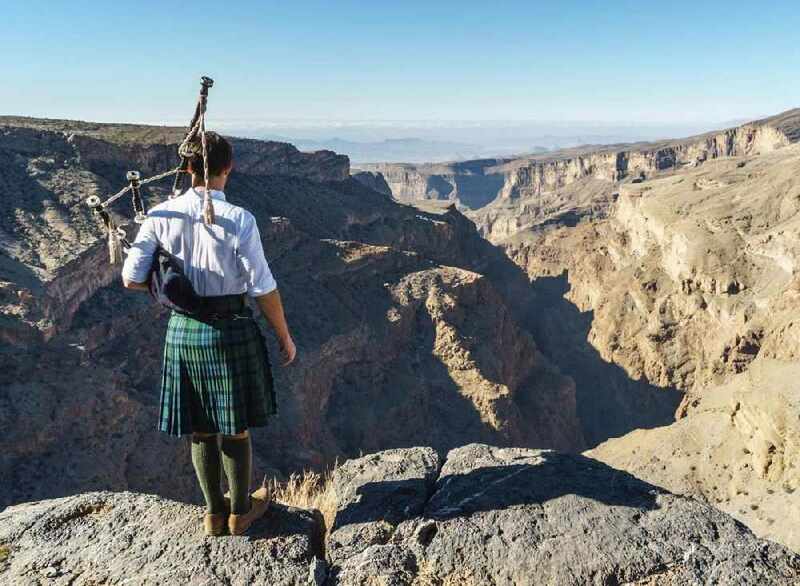 My Omani adventures took me up Jebel Akhdar and Jebel Shams, where I ended up camping for the night and watching the sun set over the ‘Omani Grand Canyon’ - truly spectacular." You can follow all of Ross's travels by following him on all his socials here, here and here - or check out his website! In the meantime, check out his travel video so far!